Well, Penn State has officially figured out the blueprint to keeping some of Pennsylvania’s top basketball recruits home. Shep Garner, Tone Carr, Lamar Stevens, Mike Watkins, Izaiah Brockington, Seth Lundy, and now 6′ 7″ Forward 2020 Mikeal Jones. He’s already everything that a college coach would want, and he has 2 more high school seasons, and 1 more AAU Summer to further develop his skills. He has a solid Lebron James type frame, loves to bang in the paint, has excellent post presence, shoots well inside the paint, as well as beyond the arc. He’s a high energy player that loves to get out on the break and can fly high with the best of em’. He previously attended Girard College in Philadelphia, but chose to take his talents to IMG Academy to complete his Junior/Senior seasons. This was an excellent move regarding his development and exposure to a national schedule with a higher level of competition that will better prepare him for the next level. Mikeal was also a 2018 Raw Sports All Star who helped Big Star secure our first Championship trophy in the legendary Donofrio Classic tournament in the Philly area. 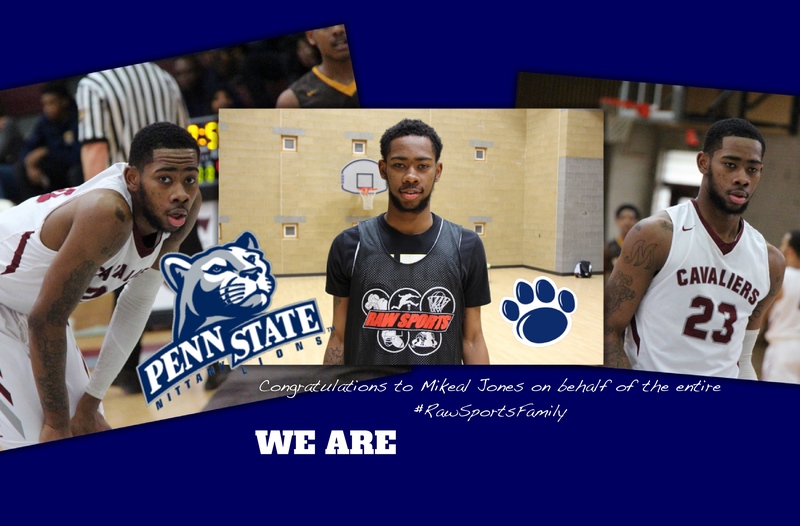 Congratulations to Mikeal Jones, and prayers up for a Blessed college career. But first, he’s got work to do at IMG. ← Previous Story T.J. Berger knocks down 7 Three Pointers in 1st Half!!! Next Story → c/o 2022 CHANCE WESTRY is a future HOOP LEGEND!